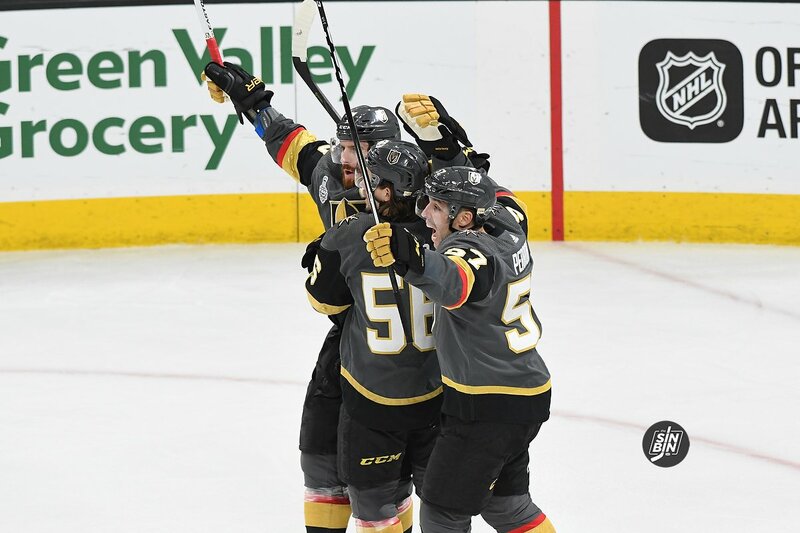 It’s a simple question, are the Golden Knights a better team today than they were the day they came up three wins short of winning the Stanley Cup? The answer is also as simple, at least in my opinion, and it’s no. The Creator said he has daily discussions with George McPhee on how to improve the team. Since that conversation, some can make the argument the Golden Knights got worse. Let’s start with what they lost. Now let’s look at the Golden Knights additions. It’s not fair to compare the loss of Neal and Perron, to Vegas’ new offensive additions. Stastny’s a fine player, but he’s not an elite center that can make up the production of two lost wingers. There’s only a few of those, and one of them passed for Toronto. If the reports are true, and Vegas is involved in a blockbuster trade, the view of the 2018-19 Golden Knights roster would change dramatically, but as of right now, the front office hasn’t made the team better, at least not on paper. Vegas addressed their second line, and depth at the center position signing Stastny. Holden will fill Sbisa’s role of a second or third pair defenseman. After that, the other signed UFA’s are depth forwards at best. So, will the team improve? Of course, the answer hinges on the Erik Karlsson mini-series we’re all glued too. Sure, we all enjoy the offseason drama, but what’s the backup plan if they don’t land EK65? When posed the question today, no, Vegas has not improved the team. Certainly, not as much as the Golden Knights owner suggested it would. Which leads us to believe they’re not done. So get the popcorn, it’s time again for Erik and Pierre’s Decision on the Lifetime network. Or they can just announce it like normal human beings through a press release. The Golden Knights are NOT better, they should’ve kept what they had. What killed them in the Final, was poor defense, and passing too damn much, when they needed to shoot the puck. I was looking forward to this season, but with the lousy additions, I now dread it, this season, try to rest Fluery more, so he’s sharper for the playoffs (if they make them). Rest Fleury so he’s sharper for the playoffs?? That’s a joke right. He played half a season and was pretty rested for a starting elite goaltender and quite a few games less than Vezina trophy nominees or he himself would had been a nominee. He had a record breaking first three rounds of the playoffs and then ran into defensive breakdowns that no human could have bailed him out of in the final. He was on a team that ran out of puck luck and finally came back down to earth. It was a miraculous run and will never be duplicated. You could take the same team of players next season and I’d bet everything I know we don’t make the final again. Fleury was the shining star of this team last year especially in the playoffs. There is no possible way this team makes the final without him last season. Passing way to damn much and shoot the puck?? You really need to reexamine your take on where the team failed in the final. There was no way to keep all the players they had and move forward and improve. You can’t offer Neal and Perron long term deals just because we made the final last season. You will see where both those players are in a couple season with long term deals at high dollars and realize that GMGM made the right choice. That is exactly how you end up being a terrible team with cap problems….overpay players in the twilight of their careers after they come off career years (Perron……Neal has been on the down slope for awhile). GMGM did EXACTLY what he needed to do in the offseason. The team is building towards something. It was never supposed to happen this or last season. We had a team that over performed in a way that can’t even be measured. You don’t build a dynasty in 1 season. I couldn’t be more excited for the future of the team myself. So, Donald, can I get your season tickets, then? That’s a pretty myopic view. I’m glad that The Creator has taken the attitude, and approach, that he has. Many times, you see owners of new teams want to go low on roster salaries and build through the Draft. After seeing what this team was able to accomplish in their 1st season, he’s open to paying big $$$ for major players to try and go farther. Not that money always buys you championships, but, it can help if you choose the right people. Everyone always leaves Tatar out of the equation, add his average production from the past 4 seasons and we are right back. I see Tatar and Stasny shining together on the 2nd line with either Tuch or Haula. I see us as getting a little better with a natural 2nd line center. I dont know stastny was very good to sign, hes strong and can score, only worry with him is if he can stay healthy, if he does hes as good as a taveres, look at stat comps. We really should look into the ryan/karlsson deal, ryans another one that if healthy will b beneficial, not as good as stasny but still at 3 yrs. 7.25 not a bad deal, and karlssons as good as doughty, letang. And thats what killed us in playoffs against the caps, was our defense got steam rolled by the caps o-line monsters. I think we can make season 2 good if we can get the ryan/karlsson deal made, lets go knights !!! I dont know stastny was very good to sign, hes strong and can score, only worry with him is if he can stay healthy, if he does hes as good as a taveres, look at stat comps. We really should look into the ryan/karlsson deal, ryans another one that if healthy will b beneficial, not as good as stastny but still at 3 yrs. 7.25 not a bad deal, and karlssons as good as doughty, letang. And thats what killed us in playoffs against the caps, was our defense got steam rolled by the caps o-line monsters. I think we can make season 2 good if we can get the ryan/karlsson deal made, lets go knights !!! I have a feeling Tatar will finally breakout next season. I will not be surprised if becomes a major goal scorer for VGK. Funny, considering it is so early in this process for the next season, and so many people are polarized. The roster now is not what it will be on opening day. Is it worse now then then end of the last season? Sure, I agree it is worse, but so what? Early days with much more to go. Judging the team now is just silly. You can start judging it when the team goes into pre-season camp. Judging it earlier is simply dufus diddling. And besides, remember it is not just about this next year. It is also looking 3-5 years out. Yes, Karlsson is a generational player. But paying him say $13mil a year and sacrificing our best prospects and draft picks for the future? Bad business, especially when we can have players like Glass and Banstrom at ELCs for 2-3 years? i think they are slightly less. Stastny is no neal. Neal was de facto captain of this team. Who will step up ? Stastny is slightly better defensively than Neal, but not as good offensively. Neal was a bit streaky. But Tatar is upgrade to Perron goal scoring wise. But not as good defensively as Perron. Lindberg needs to step it up a notch. Carrier will be better also. As will Tuch and Theodore. da verg – Stastny is an upgrade on Neal – yeah, Neal is a more consistent goal scorer – but he is a relatively slow winger. Stastny is a creative center who tends to make the others around him better. In hockey it is not just about scoring goals, it is also about creating opportunities. Granted – the perfect combo would be Stastny dishing and Neal cashing in, but it is what it is. Neal tends to be slower and more one-dimensional. Stastny is faster and should be a better fit with the overall game of the Knights which emphasizes speed and pressure. Neal probably is a bit better on the fore check but Stastny is clearly better two-way. Stastny also likely will be an upgrade on the power play. Neal was one of the key leaders the first year of course and you cannot under emphasize his effect on the younger players. But Stastny also is considered a good guy in the club house and someone who provides veteran leadership. And don’t forget, Neal had one goal in the last month of the season and was pretty much a non-factor in the playoffs. Stastny on the other hand was playing his best hockey in the playoffs. VGK lost a few good players — gained a few other good players that want to be in Vegas — VGK added some good draft picks — is the team any better? we shall see next season. the TEAM is different, but not any worse. A tad worse, a Skinner & Faulk deal may be the answer!